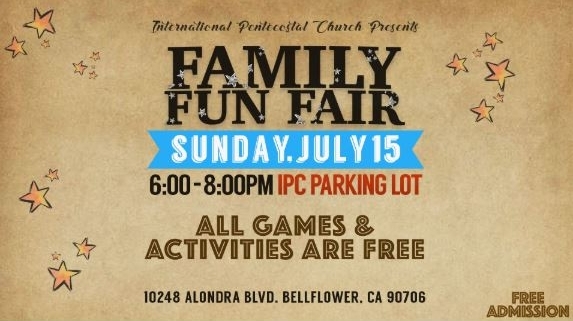 The International Pentecostal Church is ending their VBS week by throwing a Family Fun Fair for the kids and their friends and families! All games are Free! Admission is Free! Just come and have a blast playing carnival games, winning prizes, and get yourself some free snacks and treats. All FREE! Emerald Events will provide the Laser Tag, Shooting Range, and Bubble Rollers!! We can’t wait to see you there!